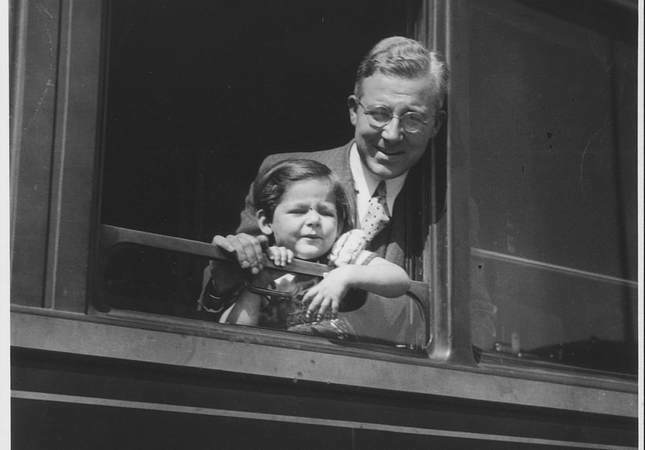 Sabahattin Ali with his daughter Filiz. A book written more than 70 years ago has become one of the most popular novels of recent years in Turkey. 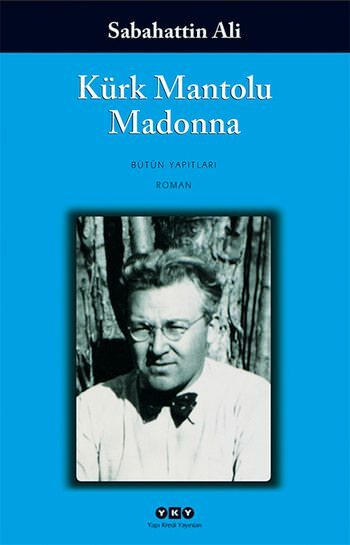 Written by Sabahattin Ali, Madonna in a Fur Coat, or Kürk Mantolu Madonna, has sold more than a million copies in 79 Turkish editions since 1998, according to publisher YKY Publications. In the last three years alone, around 750,000 copies have been sold, a huge number in Turkey. Last year, one of Orhan Pamuk's latest novels, A Strangeness in My Mind, sold less than 231,000 copies compared to the 350,000 copies Madonna in a Fur Coat sold. Nobel literature prize winner Pamuk is one of Turkey's favorite modern writers. "The book has kept being in the top 10 lists over the last 10 years," Meriç Güleç, the managing director of ONK, the Istanbul-based copyright agency that holds the rights to the book, said. According to Güleç, Ali's work has been rediscovered by a new generation of Turkish readers almost 70 years after it was first published in 1943. Ali, a left-wing poet, writer and journalist, was born in what is now southern Bulgaria in 1907 and became a fierce critic of the Turkish government during single-party era. He was imprisoned at least twice and was killed in 1948 by an unknown assailant in a murder widely attributed to Turkey's secret police. 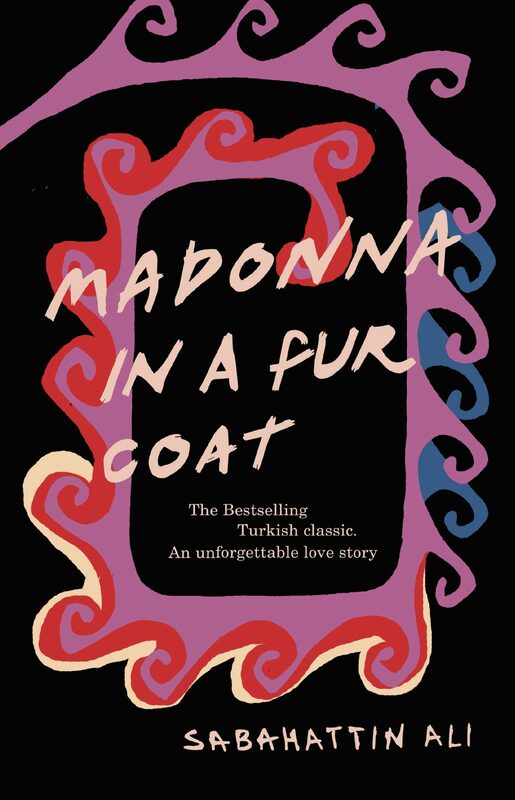 The Turkish Librarians' Association said Madonna in a Fur Coat was the most borrowed book in 2015. Posting a picture of the book alongside, for example, a cup of coffee has become one of the most popular images on the social media accounts of Turkish youngsters in recent years. On Instagram, Turks posted more than 60,000 photos with the #kurkmantolumadonna hashtag while the writer's name was posted more than 200,000 times, the image-sharing platform said. The novel centers on a post-World War I love affair between Turkish student Raif Efendi and a German singer, Maria Puder, in Berlin. In the first part of the book, Ali narrates rural life during the early years of the Turkish Republic before Raif, a shy and melancholic young man, travels to Germany at his father's request. Later, the book explores life in Berlin and Raif's meeting with Maria, who becomes the love of his life. It has already been translated into 17 languages including French, Russian and Italian and four German editions have been produced. An English version of the book, translated by Maureen Freely, known for her work on Pamuk's novels, and Alexander Dawe hit the shelves Wednesday, according to British publisher Penguin. Güleç put the book's recent popularity down to the passionate love affair it narrates, which may seem unattainable to the modern reader. The author's daughter, Filiz Ali, told Anadolu Agency she has been surprised by the books' renewed popularity. "I am shocked by the size of the attention," Filiz, a 78-year-old pianist, said. "We cannot even imagine unrequited love [today]. The character of Raif Efendi reminds readers of forgotten feelings… and the Maria Puder character could be the ideal woman." Sevengül Sönmez, the author of From A to Z of Sabahattin Ali, agreed with Güleç and said Turkish interest had focused on the seemingly perfect love affair. "Many young people put themselves in the shoes of Maria or Raif," Sönmez said. "Or they just want to love someone like Maria or Raif." Sönmez likens the book to Shakespeare's Romeo and Juliet or the 12th century Persian love story Layla and Majnun. The style of the book's language also makes it accessible to a wide number of readers. "Sabahattin Ali has an easy-to-read language," Sönmez said. A rise in interest in Ali's life, including biographies and exhibitions has maintained the current enthusiasm, she added. Ali lived in Germany between 1928 and 1930 and was influenced not just by his experience of the changes in early modern Turkey but also the rise of Nazism in his temporary home. He was critical of the Turkish Republic's early years, according to Sönmez, and although there is no open discussion of Germany's political scene "a feeling of xenophobia in Germany and the footsteps of Nazism can be felt." She added: "As with all popular products, you cannot stay away from it when it gets more and more attention. Everybody wants to show that they read this book and like it." Madonna in a Fur Coat is by far Ali's most popular work, something that is a source of slight disappointment for Sönmez. He also wrote Devil Inside and was a writer for the left-wing satirical magazine Marko Paşa in the 1940s. It was his left-wing writing that led to him seeking to flee Turkey and his death. "Sabahattin Ali was killed while he was trying to flee from a pressure that he cannot live with," Sönmez said.